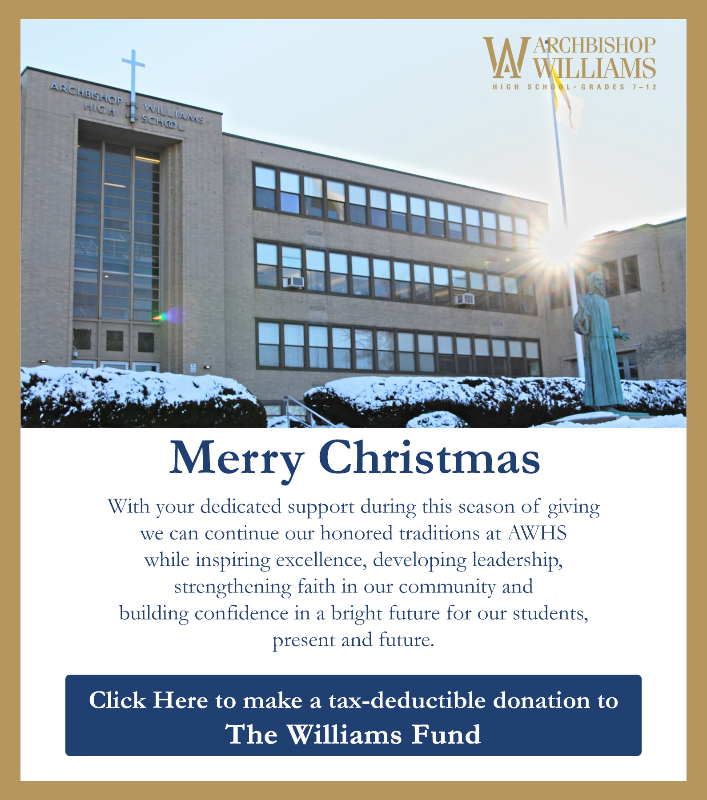 The student resource section of our website provides Archbishop Williams students with a quick and easy way to find content related to school announcements (Today at School) and other information not available on Schoology or Powerschool. Please view our sidebar navigation menu for details. Click here to purchase a school uniform from Flynn & O'Hara.